If you plan to drink 8 oz of wine, or two 4 oz glasses, the variety you choose will affect how many calories you consume. Red wine has more calories than white, but dessert wines have more than reds. A calorie counter is a great resource to see how many calories your favorite wine contains. 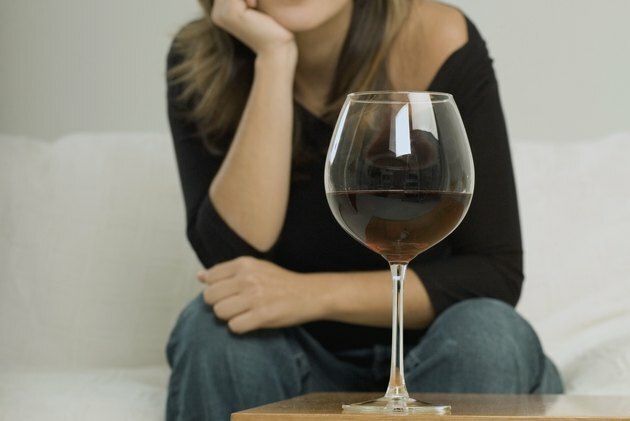 Drinking two 4 oz glasses of red wine will add 160 calories to your daily total. Swap red for a dry, white wine and you'll consume 150 calories, according to the College Drinking Prevention website. If you are a bubbly fan, don't worry too much about the calorie consequences compared to regular wine. Sipping champagne will up your calorie count -- but just slightly. Two 4 oz glasses, or 8 oz total of this sparkling wine, is 168 calories. That's 8 percent of daily calories if you are following a 2,000-calorie diet, which nutrition labels are based on. Sweet and dessert wines have more calories than reds, whites or champagne. Sherry and port are usually consumed in 2-oz servings. Drink four 2-oz glasses of sherry and you'll consume 300 calories. Drink the same amount of port and you'll take in 360 calories.